“Los cuerpos translúcidos” (The translucent bodies) is an installation made from the shooting of windows, the frame that delimits the public and the private areas. The windows seen as a doublie limit: the physical distance that separates us from each other and the one that dictates the current legislation about the image rights. “Los cuerpos translúcidos” is a piece created for the exhibition Miradas al Límite (Glances to the Limit) for the Museo de Arte Contemporáneo, Vitoria (Artium). 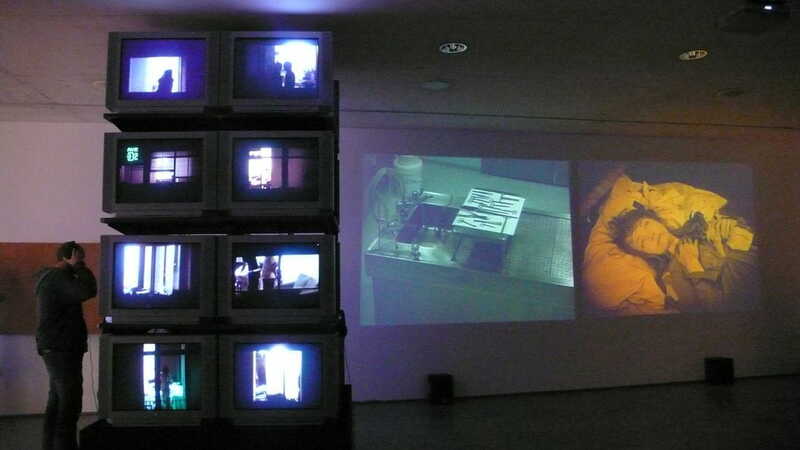 Format: Video-installation for 16 monitors organized in towers of 8 monitors for each side.